Climbing aster, photographed at Corkscrew Swamp Sanctuary, Naples, Collier County, in October 2013. Travel through a swamp on a fall day and there's a good chance you'll encounter this guy, climbing aster, Symphyotrichum carolinianum. It's impossible to miss with its mass of big, bright, fragrant blooms. Climbing aster is a Florida native, found throughout most of the Peninsula and into the Panhandle. 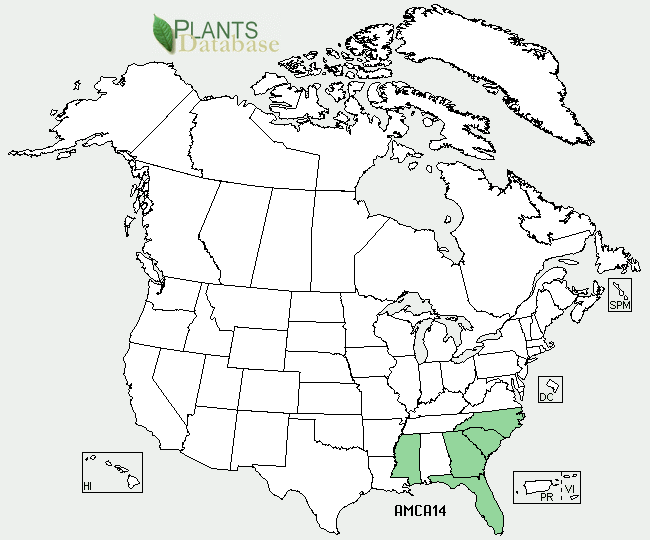 It's also found in Mississippi, Georgia, South Carolina and North Carolina, but nowhere as widespread as it is in Florida. In fact, it might be extinct within the boundaries of North Carolina, according to the Flora of North America. The plant itself is something of a shrubby vine; it lacks tendrils but rather weaves in and out, tangling on itself and into nearby trees, capable of reaching 10 feet or more in length. The stem is slender and woody; leaves are somewhat oval shaped, and alternate on the stem. It can be deciduous, dropping its leaves in winter, reemerging in spring, or evergreen. 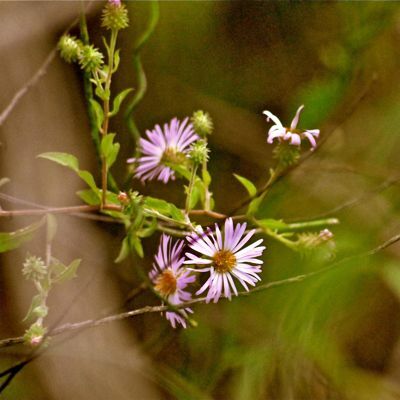 Climbing aster loves the sun and wet soil — it's found in freshwater swamps and wet thickets. It is used in landscaping, though its need for water restricts somewhat where it can be used. We've read that it can be grown in a varity of settings if its kept wet. It is not drought tolerant. The Institute for Regional Conservation says it's mainly used in restorations and natural landscapes, but it can be an accent if you've got a wet spot near trees. Also note that its climbing habit can overwhelm small gardens. It does have one relative that somewhat resembles it: rice button aster, Symphyotrichum Dumosum. The flowers of the two plants are similar but we'd say rice button aster is more on the shrubby side. Climbing aster seems to have had limited utility for us humans. The Seminoles used the leaves in a body steam to relieve itchy skin. It does attract pollinators; it is a nectar source for monarch butterflies. As best we can tell, climbing has no other common name. In the world of science, however, where there's usually some agreement, it's multiple choice. For starters, there's Symphyotrichum carolinianum, which the Institute for Regional Conservation and the Atlas of Florida Vascular Plants uses. Meanwhile, the USDA PLANTS Database uses Ampelaster carolinianus. The USDA doesn't even list S. carolinianum as a synonym. The lack of agreement makes research difficult; fortunately the Flora of North America sites sorts it out a bit. 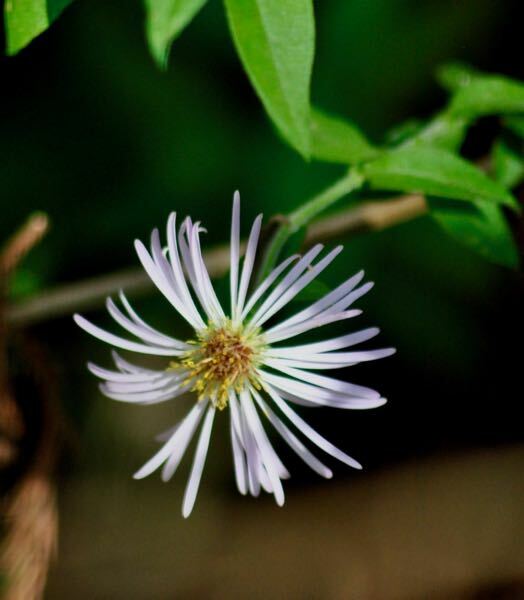 Climbing aster is, without question, a member of Asteraceae, the aster family.